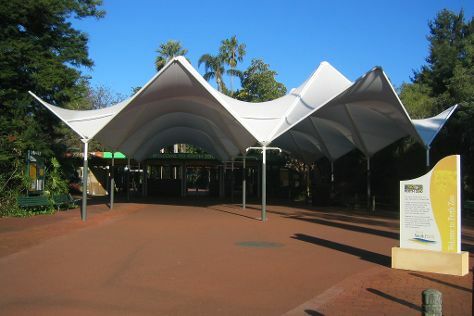 Family-friendly places like Perth Zoo and Cottesloe Beach will thrill your kids. You'll find plenty of places to visit near Perth: Rockingham (Penguin Island & Rockingham Beach), Caversham Wildlife Park (in Whiteman) and Bells Rapids Park (in Brigadoon). Pack the 15th (Mon) with family-friendly diversions at Adventure World Perth Australia. Dedicate the 18th (Thu) to wine at some of the top wineries in the area. There's lots more to do: admire the natural beauty at Kings Park & Botanic Garden, hunt for treasures at Fremantle Markets, contemplate the long history of Fremantle Prison, and stroll through Scarborough Beach. To find ratings, photos, traveler tips, and more tourist information, go to the Perth online trip itinerary builder . If you are flying in from United Kingdom, the closest major airport is Perth International Airport. In April, plan for daily highs up to 31°C, and evening lows to 15°C. Cap off your sightseeing on the 26th (Fri) early enough to travel back home.